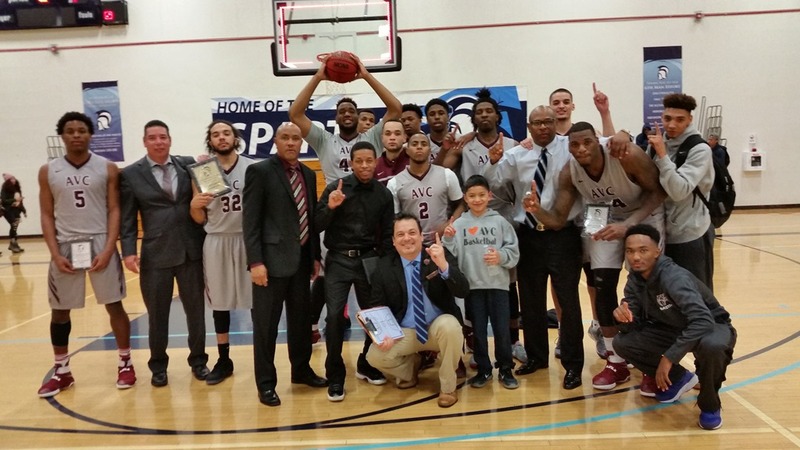 Team captain Cory Dollarhide said after winning their 11th game against MiraCosta, it looked to him that the AVC team had turned the corner in becoming an elite team this year. 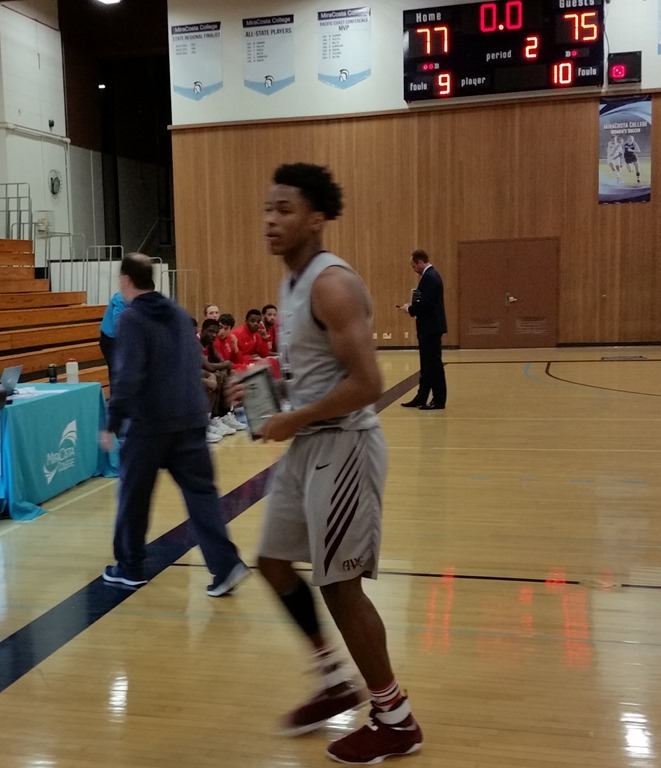 Even though Cory didn’t finish the championship game with his teammates as he fouled out for the first time of the year as his team won the MiraCosta Championship trophy, he might just be right. It was a battle all the way and with less that 2 minutes left, Bakersfield had built a 6 point lead but with outstanding coaching, defense and offense caught AVC them and won the game 77-75. Dee Jones came off the bench for all three games and scored in double figures every game. The freshman was named to all tournament team. 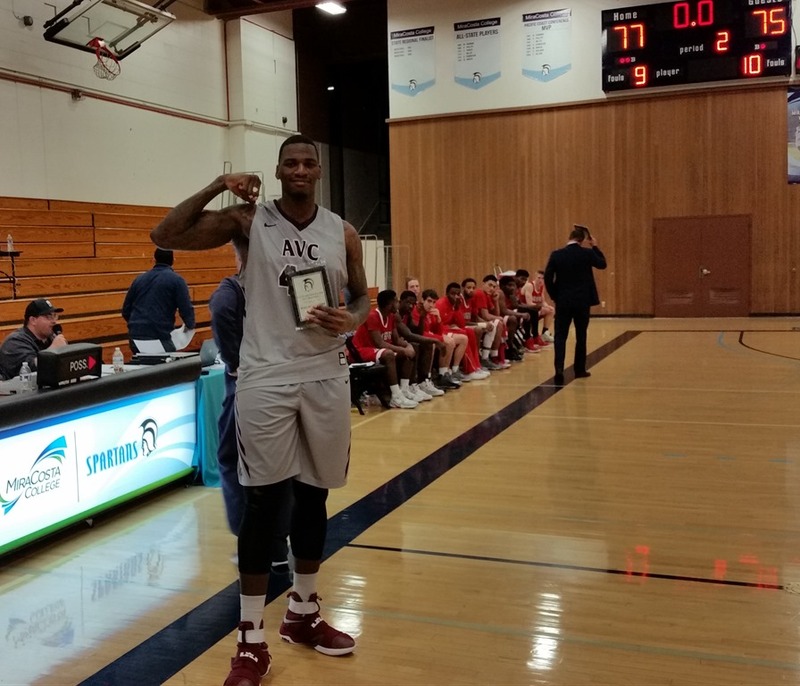 Sophomore 6’10”, 265 sophomore was a dominant figure in all three games for AVC and was named the player of the tournament. It looks like AVC is peaking just at the right time and it should be a very finish for the yeqr.